Four teenagers find the mutilated corpse of a young girl stuffed into a dumpster in an Edinburgh alleyway. Who is she? Where did she come from? Who killed her and why? Above all, where is the baby to which she has obviously recently given birth? Inspector Rob Brennan, recently back from psychiatric leave, is still shocked by the senseless shooting of his only brother. His superiors think that the case of the dumpster girl will be perfect to get him back on track. But Rob Brennan has enemies within the force, stacks of unfinished business and a nose for trouble. 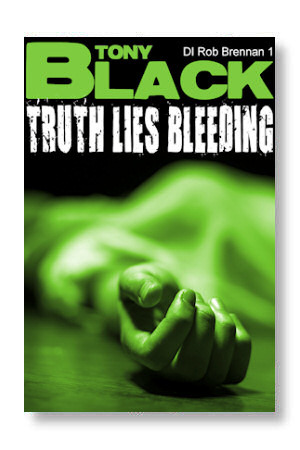 What he discovers about the murdered girl blows the case - and his life - wide open. 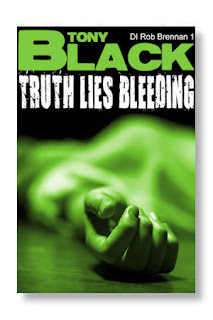 TRUTH LIES BLEEDING is the first book in the DI Rob Brennan series. Murder Mile by Tony Black. In a cold, windswept field on the outskirts of Edinburgh, lies the brutally mutilated body of a young woman. As DI Rob Brennan looks at the tangled mass of limbs and blood, he feels his heart freeze. Like Fiona Gow five years earlier, this girl has been strangled with her own stockings, sexually mutilated and her eyes have been gouged out. Is this the work of an Edinburgh Ripper? The press certainly think so. Rob Brennan is determined to uncover the truth - however painful that might be. But truth is hard to come by in a world of police rivalries, media hysteria and copycat crime. MURDER MILE is the second book in the DI Rob Brennan series.